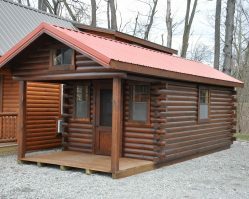 Our Sunrise Line of Premium grade Amish built log cabins are constructed with high quality tongue and grove logs, cut from white pine or red cedar. 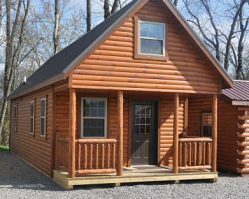 To ensure a tight seal between logs and further insulate the log cabins, we use foam weather stripping and 8″ log home screws every three feet to ensure a draft-free, and warm winter home. Our dedication to building the highest quality custom log home is reflected in our mission statement … not to be the biggest log home supplier, but to be the best. To achieve this goal our business has expanded gradually to focus on offering you only high quality products. 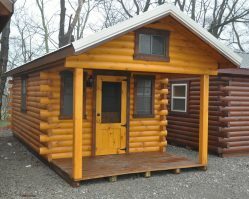 By doing this, our employees have had time to gain the experience needed to build our company’s reputation and give your log home the attention to detail and pride in craftsmanship that you’re expecting, and deserve. 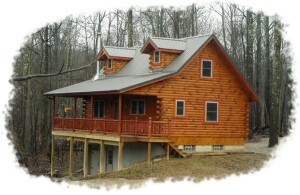 No other type of home construction can create the warmth and charm of a hand-crafted log home. 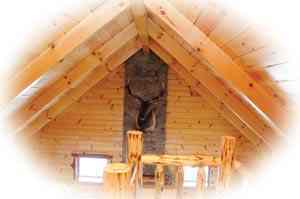 The thermal protection provided by your new log home will give you a sense of security and comfort for many years. Thermal Mass, in simple terms, is a wall systems ability to store the heat of the day and release it back into the room during the cold night or store the cool night air of summer and release it back on those hot summer days. This ability greatly reduces the need for mechanically enhanced heating and cooling systems. Since typical frame walls have little to no thermal mass, they may boast a good “R” value, but the “U” factor can be surprisingly low. Conversely, a log wall may not have the highest “R” value but its “U” factor is amazingly high. It is no surprise that properly constructed log homes have been known to out perform conventional frame houses by as much as 20-40%! Your new log home will be a solid investment. 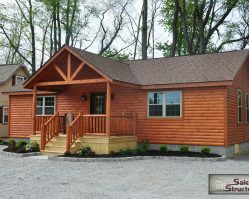 With the right planning and log home builder, combined with your commitment to a quality log home, you will be on the path to comfortable living in a beautiful, efficient and environmentally friendly Amish built log cabin home from Salem Structures. 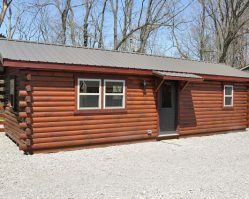 Need a hunting cabin for the weekend or a full-time residence? We have a cabin for you. 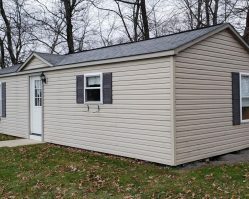 Taken from the Buckhorn Collection, this Handcrafted Cabin will make you the talk of the TOWN!